There’s a small dairy store on the corner of the main street near my house. Actually, it’s more a large closet than a store considering that it can’t be bigger than 20 square feet and contains only one tiny refrigerator. It’s one of the government-owned (Dairy Development Corporation, or DDC) distribution stores and is generally reputable. I strolled in there about a week ago to pick up some yoghurt and came across the storeowner and three customers drinking chiya (Nepali tea) in complete darkness. I can certainly tell you that walking in a dairy store that has no electricity is a little disconcerting. But when you consider there are currently 12 hours of power cuts per day in Nepal, buying any dairy products becomes a tricky proposition. Now, you might be thinking that I’m describing a store in the middle of rural Nepal, tucked away in the middle of the Himalayas. This is Kathmandu. In fact, not only is this Kathmandu, this is the middle of Kathmandu, inside the circular Ring Road that encompasses the urban center. Down the road from this dairy store is the UN House, a couple of embassies and countless NGOs/INGOs and offices. This is the capital of the country. Imagine DC or London with 12 hours of brownouts a day. Even less would get done. Approximately 30% of Nepal has no grid connection. That means, they have no power sockets to attempt to connect a cellphone charger or a light for studying. The remaining 70% have grid-connectivity on paper only. Twelve hours of power cuts is not an anomaly; that’s the minimum expectation in the winter period. Nepal’s electricity is largely generated by hydropower, propelled by their abundant hydro resources and lack of thermal power sources. While hydropower is a great idea, Nepal’s power capacity is, at most, around 770 MW for their current 1130 MW peak demand. But that is 770 MW at most, at best conditions. That power generation number gets as low as 350 MW. That means, in the dry season, when the rivers are low, only about ¼ of the power demand is met. 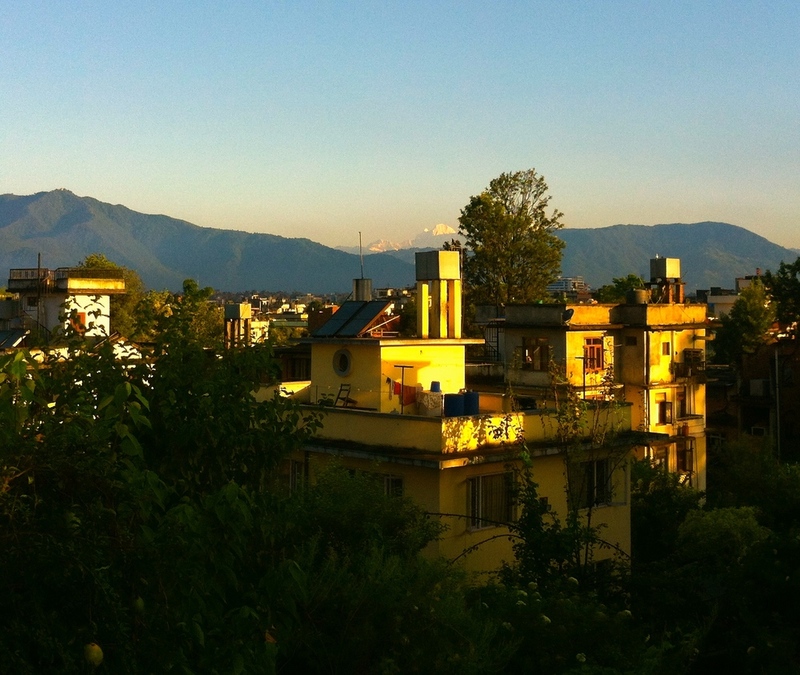 As more people move into the urban areas, as grid connectivity increases, as more appliances are being used, the demand for energy will only get higher and higher in Nepal. Hydropower plants are being built, but they take time and capital, neither of which Nepal has. Solar power, on the other hand, is quick and installations directly benefit their users. Nepal’s solar potential is near ideal. It receives approximately 11 hours of sunlight a day, all year round, including the dry season. A small installation of a couple of kW could power an office, a home, a school or a clinic. Solar panel equipped buildings in Nepal have no need to rely on the grid; they’re self-sufficient. In a place where the national electric grid is faltering, solar provides an effective and real solution and one that I hope my local dairy store might consider.